When people think of visual arts, painting, drawing and sculpting are usually the first things that come to mind. What people don’t usually notice are the artists that do the more unconventional types of art: maybe pencil shaving art, maybe crayon carving, and maybe henna art. For those of you who don’t know, henna is an Arabic art form where a henna tree is crushed into a paste that is then applied to your skin in very intricate designs. When the paste dries, it flakes off, and the design is temporarily stained into the skin. Sabrina Perron has just recently started experimenting with this unique and truly beautiful art form. She is an amazing artist that also enjoys all other types of art, such as painting, drawing and sculpting. Indeed, here is a truly well-rounded artist. She’s been at Collingwood since kindergarten, and has been interested in visual art for years. Her interest in henna art began when she began drawing on her arm with a friend, creating patterns and designs. 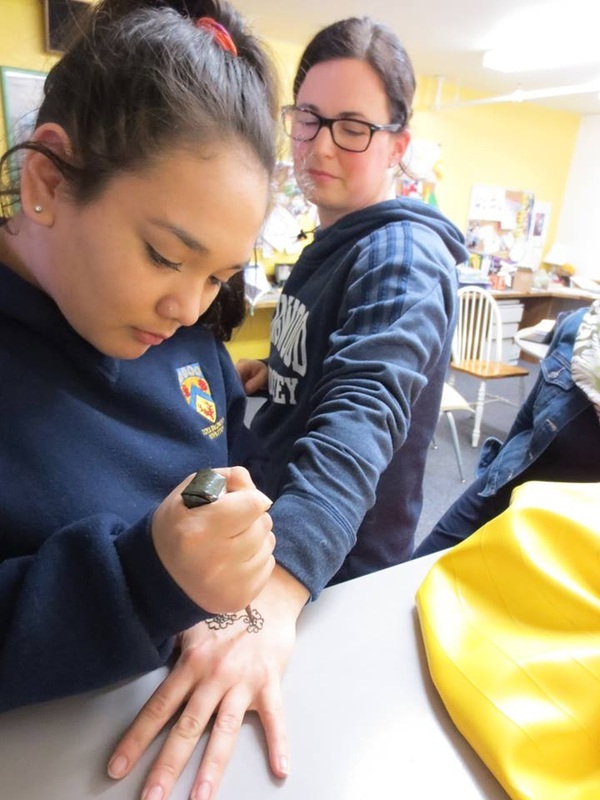 She then figured that henna art would be something that she would enjoy, and ever since, Sabrina has been adorning the skin of many at school since March of this year. 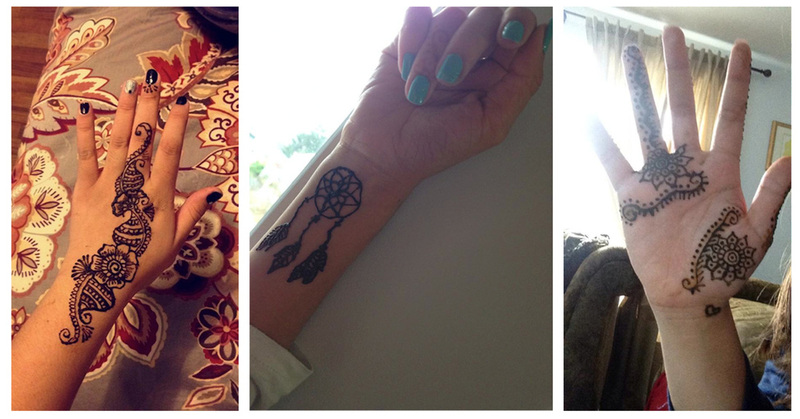 She says that she does henna because “[She] find[s] it fun and [she] also love[s] the smell of it. Also, because it was easy to learn.” For now, henna is just a fun hobby that she enjoys. It is a special skill which she will always carry with her, but she aspires to go into the medical or fashion designing field after her life at Collingwood. Look for Sabrina if you ever want to try something new and get some henna design done!